Just an abbreviated post today. 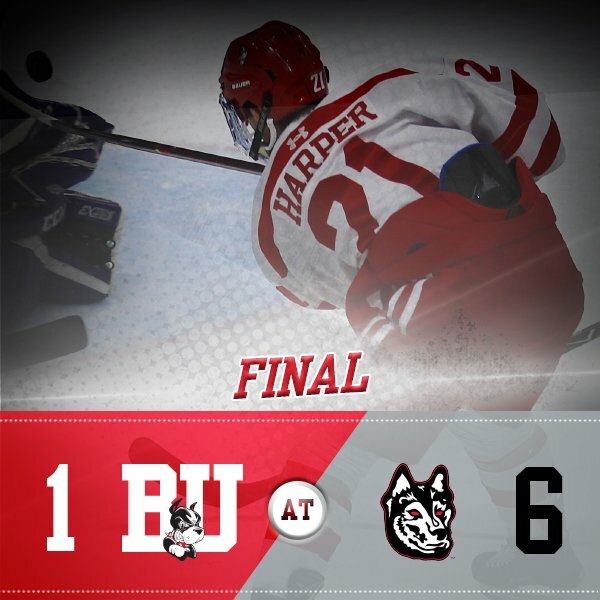 Northeastern completed a convincing sweep of the regular season series with BU, defeating the Terriers, 6-1 at Matthews Arena. Patrick Harper scored BU's lone goal in the second period. BU will try to get back in the winning column tonight as they host New Hampshire at Agganis Arena. Puck drop is at 7 p.m.